August 15, 2018 By Lori 2 Comments THIS POST MAY CONTAIN AFFILIATE LINKS. PLEASE READ MY DISCLOSURE HERE. 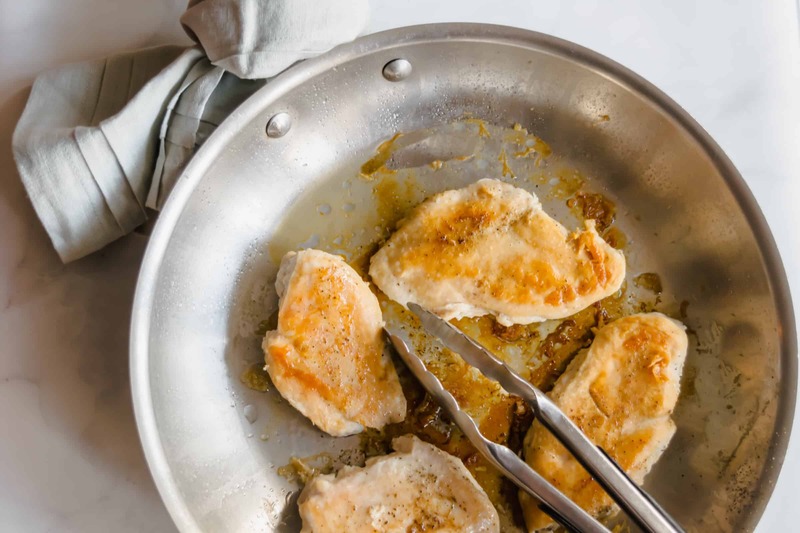 Yes, you can have the perfect cooked chicken – every time. This is one of the first recipes I teach my college-aged kids when they are living on their own because it sets the stage for so many recipes. Makes your favorite chicken salad or enchilada recipe a breeze. Recipe adapted from The Kitchn. 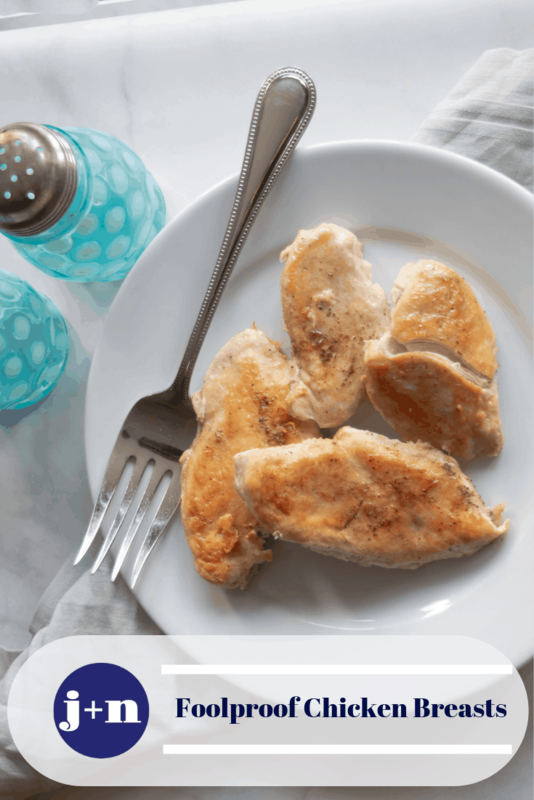 I don’t know about you but I have grilled, baked, poached and crock-potted (a new word I’ve coined) more than my share of chicken breasts, with not consistent or great results. Frustrated, I took to my internet machine and literally stumbled upon this version. I’ve made this so many times from memory so my version may vary a tich. Ready? Let’s do the damn thing. First, make sure you have some parchment or wax paper. I am a big fan of Costco’s parchment paper that is typically sold during baking season (i.e. holidays) and when they have it, I buy two or three to have on hand for the year. Wax paper works great too. Just don’t use paper towels – they won’t hold up and you’ll end up with little “threads” in your chicken. YUCK. Pull a piece of paper long enough to lay your chicken on and then cover. So twice the size you need. Wash and dry your chicken and lay it on one side of the paper and take the remaining half and pull it over the chicken to cover. Now for the fun part especially if you’ve had a long day with kids, husbands, co-workers or a dog that likes to bark at the world (I’m talking to you, Maddon). 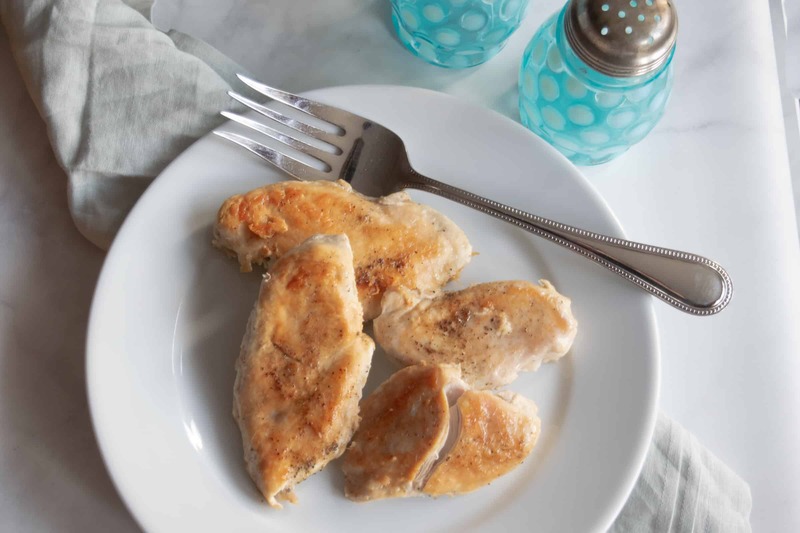 Grab either a meat tenderizer, a glass or a skillet and POUND those chicken breasts. This is better than therapy. You are trying to even them out so that the thickest portion is closer in depth to the thinnest. The chicken will grow quite a bit but don’t go too crazy because they have to fit in the pan. Speaking of the pan, heat it up and add your olive oil. Place the chicken breasts seasoned side down and season the other side. Set a timer for 1 minute or alternatively, count to 60. Or say the Pledge of Allegiance six times. After one minute, flip the chicken over one at a time and grab a tight fitting lid, put it on the pan and leave it there. I repeat: LEAVE IT THERE- for 10 minutes. Pretend it’s super glued to the skillet. DO NOT PEEK. Set a timer so you don’t blow it. I believe in you. Once the 10 minutes are up, DON’T remove the lid but instead turn off the heat and set your timer for another 10 minutes. AGAIN, go do something for 10 minutes that involves you not peeking. Maybe check out this recipe or my hometown. After the second 10 minutes are up, you get to remove the lid to the most beautiful, luscious chicken. I dare you not to eat a bite or two. 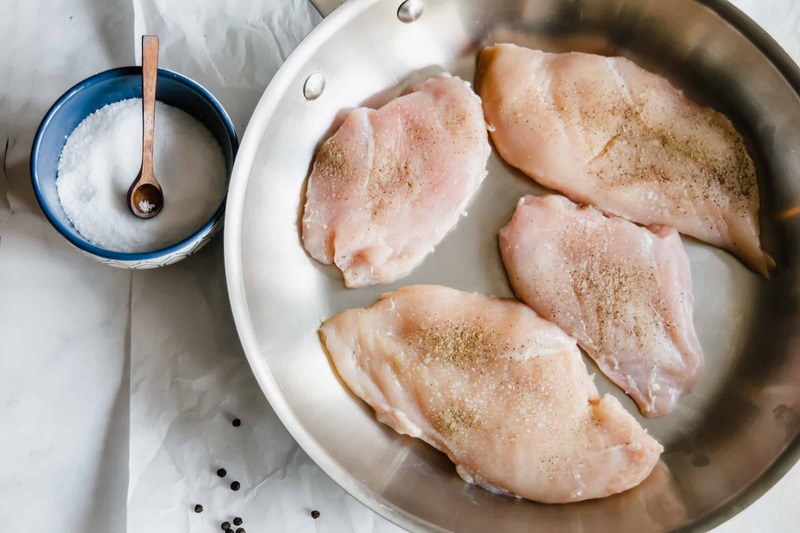 Do you have a favorite recipe that would work with Foolproof Chicken? Make it and tag us on Instagram and let us know in the comments! For anywhere you need juicy, moist chicken- salads, enchiladas, nachos, wraps. 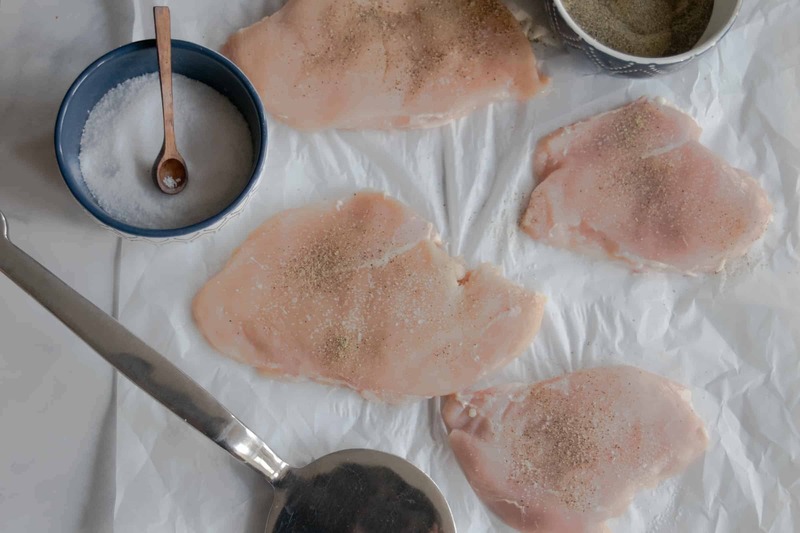 Between two pieces of parchment wax paper, pound chicken breasts with tool of your choice until even across the top. You want them to be of consistent thickness. They should get quite large. Salt and pepper one side of chicken - don’t be shy w/the pepper especially. Place the chicken breasts, seasoned side down, into pan. Don’t crowd the pan - you want to get a nice sear - not a steam. Quickly season the tops of the chicken and cook for one minute. Flip to the other side (they should release cleanly if your pan is heated properly). Reduce the heat to a low simmer, cover the pan with a tight lid and cook for 10 minutes. DO NOT REMOVE THE LID ANY TIME DURING THIS STEP! Turn off the heat and cook for an additional 10 minutes. I REPEAT: DO NOT REMOVE THE LID ANY TIME DURING THIS STEP! 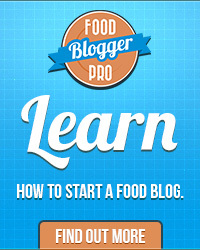 Thank you for this fool proof recipe? You are welcome! Hope you liked it!